I’m not exactly a monarchist, so I’d love to see ALL of the Royal Family “evacuated” permanently! I read that as “executed”. There are three massive sound stages and six smaller ones at Fox Studios, so there is plenty of space. I reckon Fox Studios could be a good place to present Nine’s annual Gold Telethon after they move out of Willoughby. Although I could be proven wrong in the end, it’d seem like a waste of time/money (especially post-Fairfax merger, since Nine will probably want space for the likes of the SMH in North Sydney) to equip North Sydney with studio audience facilities that would realistically only be used once a year now the Thursday night version of The NRL Footy Show has been axed. I think The Voice, DWTS and Sunday Night Takeaway will occupy the three big sound stages. German carrier Lufthansa reportedly sued a passenger last year after he failed to board the final leg of his flight from Seattle to Oslo. This appalling rip-off behaviour of the airlines needs to be stopped; there’s no way it’s reasonable to sue someone for not using an airline ticket (or part thereof). there’s no way it’s reasonable to sue someone for not using an airline ticket (or part thereof). While I think taking legal action against a passenger is over the top (and is probably only getting done to make an example of someone / deter people from this practice), these passengers are knowingly breaking the terms and conditions of the ticket that they’ve purchased so the airline is well within its rights to seek damages. It doesn’t actually cost the airline more to have an empty seat, so it shows airlines are over-charging people for not doing a complete loop (returning to your departure point). Terms of service are being used in an abusive manner to rip people off, such as airlines over-booking/selling more seats than are available then not letting people on-board (or worse, kicking people off after boarding). Airbus has announced it is stopping production of A380 superjumbo. The last plane will roll out in 2021 for Emirates. Not unexpected, but a real shame. Emirates were the only real savior in the end, the 787 and A350 are more desirable now. I HAVE to have a flight in one before they are all gone, still have a fair bit of time left as they will stick around for a while. Would love to fly in a 747 as well, but that will be harder. Sadly inevitable, its essentially a previous generation aircraft at this point in comparison with the A350 / 787. Emirates was the only one to make it work because the use case the airline has for it can’t be matched by others. I wonder if this will accelerate plans for airlines to get rid of it in the near future. Usually because you are spamming them. We don’t like crap being sent to us - we get enough of that from people above us. Also, that video is quite inappropriate for a Passion Project. 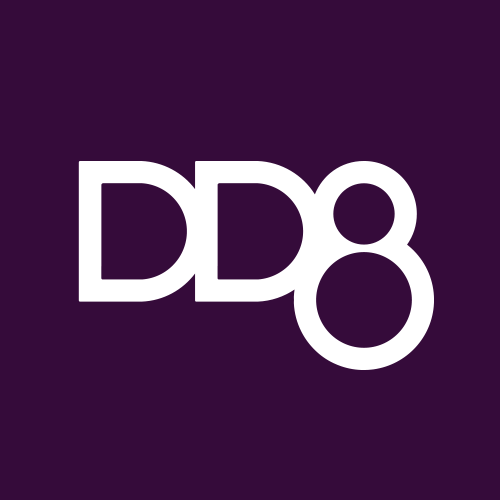 Would anyone know if branding agency DD8 still exists? their website DD8.tv is no longer active and I cant locate their YouTube channel. DD8 is responsible for a lot of TV branding, including SBS World News, 9Go!, Fox Sports and many more. What’s a Passion Project? They didn’t have them when I was at school. Unless it was it was a project for a Passion Play at Easter. A passion project is an activity or enterprise that you decide to take on—usually in your spare time–in order to gain some benefit for yourself. That is, it’s a challenge that you willingly embrace because you hope to gain something from it. Essentially it’s doing something the kids are interested in as a way of helping them figure out what they are going to do in years 11 and 12.